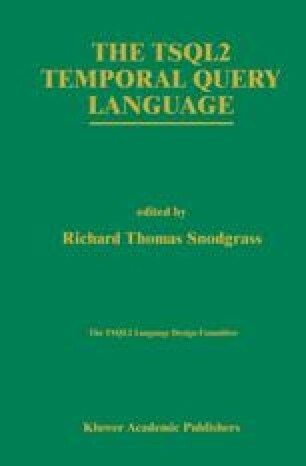 TSQL2 is a declarative query language, and as such, requires a procedural (algebraic) equivalent for implementation. In this chapter, we describe such an algebraic language. We undertook this design in order to show that TSQL2 can be implemented efficiently, with minimal extension of existing techniques.